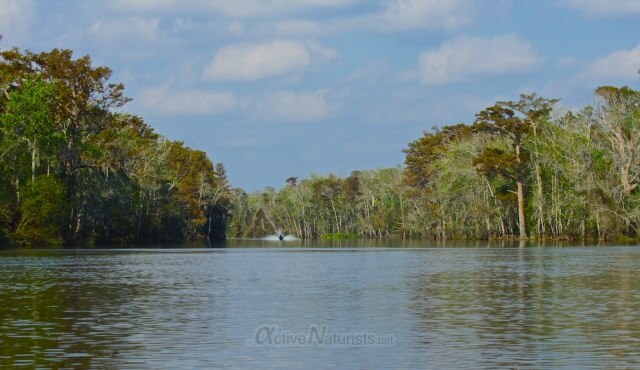 I’ve mentioned already my recent visit to New Orleans with a resort-like club in the centre of the city, but my trip wouldn’t have been complete if I hadn’t ventured out to the outdoors. 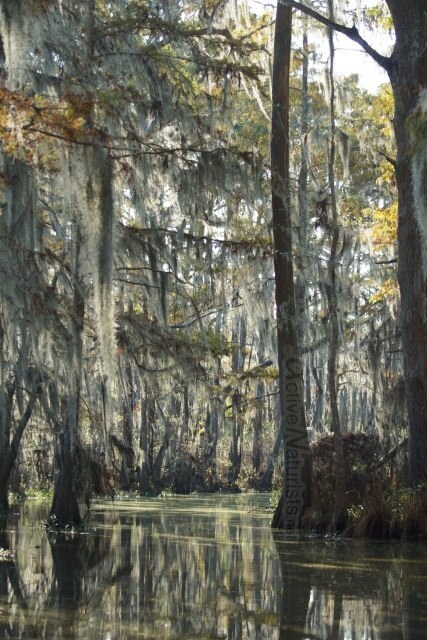 In the case of New Orleans, I am talking about swamps, of course. There are numerous boat tours offered by tourist agencies in the city, but it was quite difficult to find a place where kayaks or canoes could be rented. My friends and I opted for canoe rental as it promised a more personal and adventurous experience at the swamps, plus it is also a good exercise. 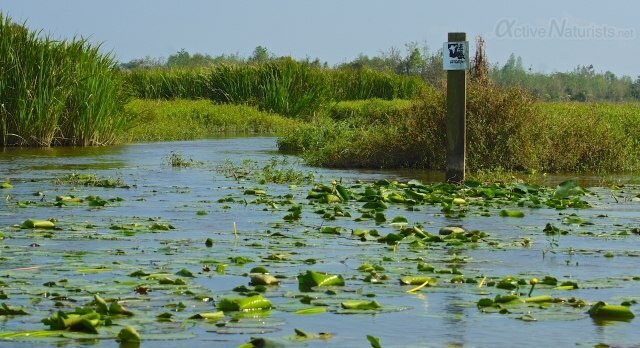 I also secretly hoped that I would get a chance to explore the swamps ‘as nature intended’, especially given that mid-October is still summerly hot in New Orleans. One of just a couple of places that provided canoe rental in the area was Pearl River Eco-tours. 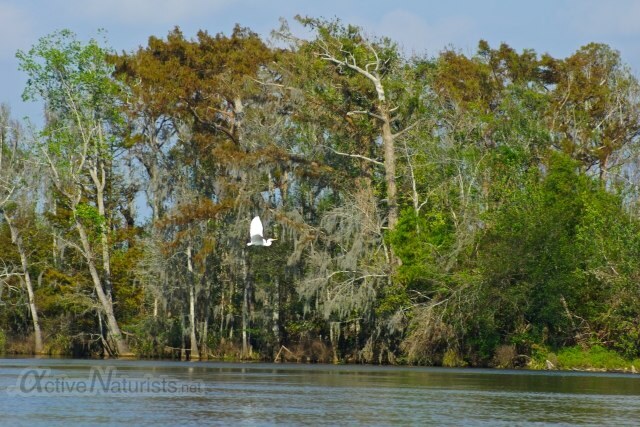 They are located in a massive swamp area north-east of New Orleans, which includes various habitats such as river, marshes and flooded forest swamps. Our adventure started as soon as we departed from the boat/canoe station. 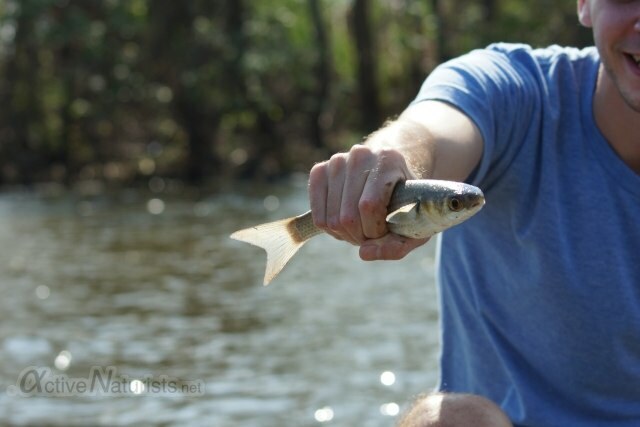 All of a sudden, a fish jumped right in our canoe! You’d think it just happened by chance, but it happened two more times during our trip. Perhaps fish jumps out of water so often in that area, because it is chased by alligators. Oh, have I mentioned that was what we actually hoped to see there most? Going upstream just a little away from the rental place, we noticed a narrow canal leading to marshes. 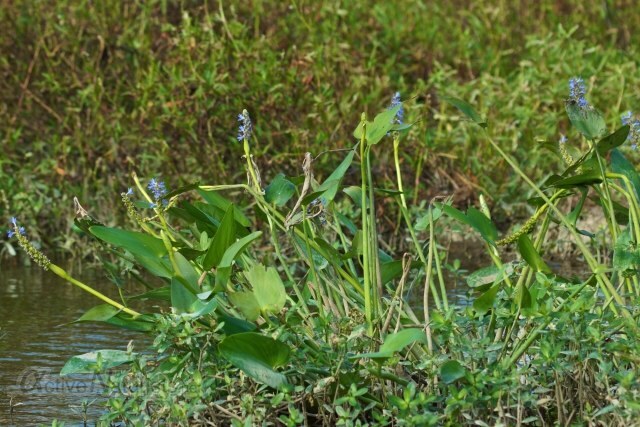 It was a vast open space covered with semi-aquatic and floating plants with some lagoons in between. The water was very shallow, often barely enough for a canoe to go through – tourist boats definitely wouldn’t go there, so I felt confident enough to disrobe for a bit. Soon it submerged and we headed back to the main river. The river itself was beautiful too, surrounded by lush forest and very quiet… except for an occasional water-scooter, unfortunately. 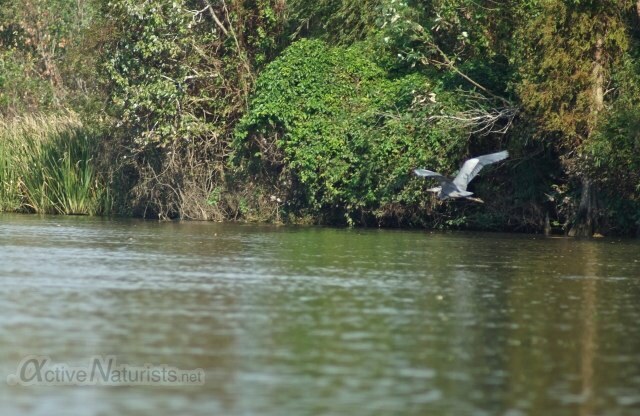 Unfortunately – because to me it seemed inappropriate to use such a noisy and not-at-all-environmentally-friendly watercraft in that wilderness. It is even easier to spot them when they take off in the air. 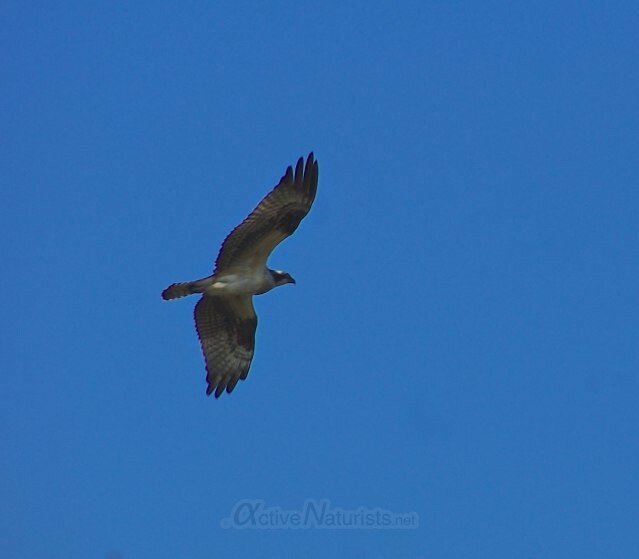 A rarer encounter is an osprey, but we did see a few of them, which is a sign of a healthy ecosystem. We continued paddling upstream, and without a proper map, we did not know where we would see those typical southern swamps. We almost gave up, but just behind an old metal bridge, we found an entry to a narrow canal through the flooded forest! 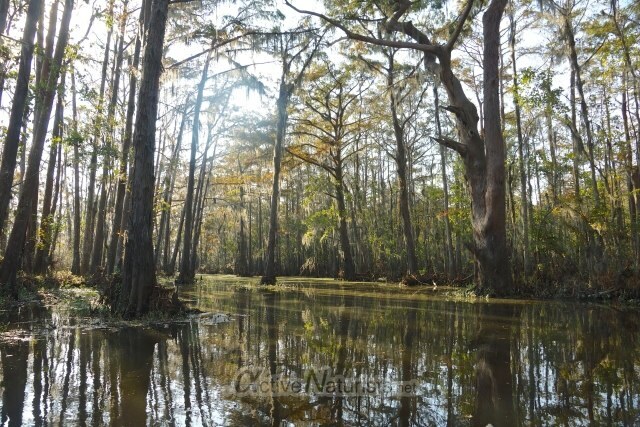 Yes, that was the flooded forest of bald cypresses that we had in mind! 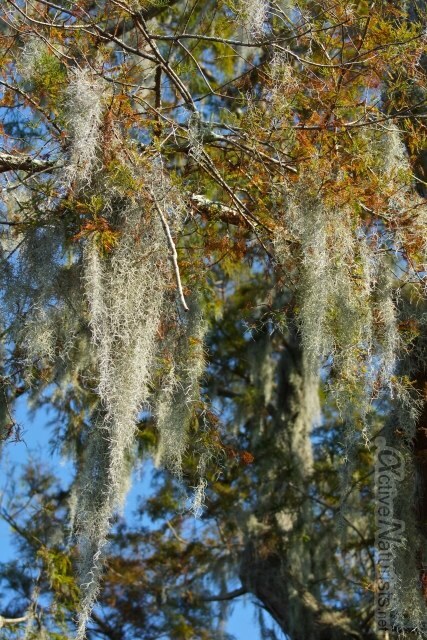 But what gave the forest its mysterious, almost spooky, appeal was not so much the trees themselves but a plant that grew upon all their branches, spanish moss. Another feature that made this forest look unusual was the so-called cypress knees. 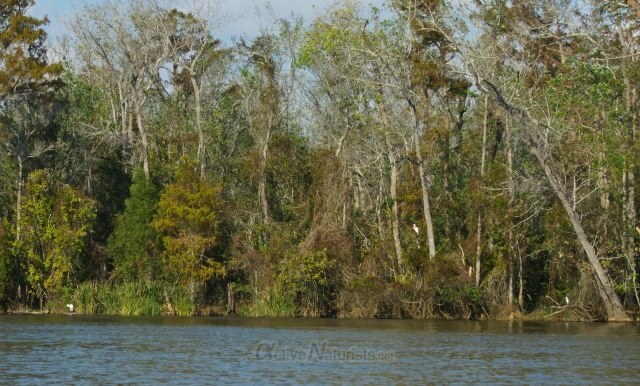 Cypress knees are special structures of swamp cypresses formed above their roots. They are thought to provide additional support and stabilisation, and possibly additional oxygenation for the roots. This felt almost like flying right above the water. By the way, the black water of those marshes was in fact quite clear – we checked it by dipping our oars. 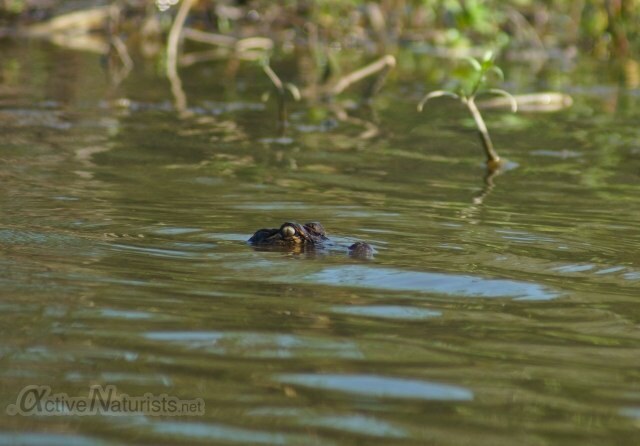 On the other hand, alligators aren’t as bright as those yellow oars, so one should be careful when stepping outside the boat… And yes, there are some pretty impressive alligators in the area! We saw this beauty on the way back. 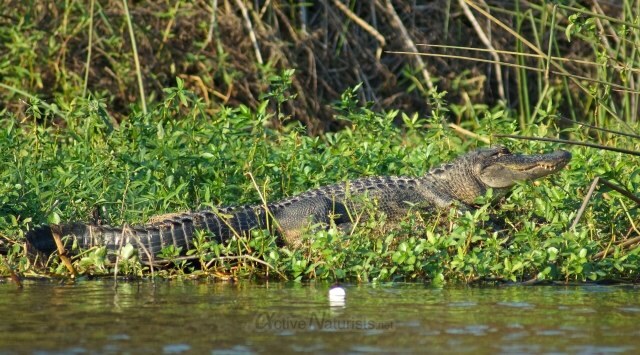 Not that gator attacks are common in Louisiana, they are most likely to retreat when they see humans, but you never know… But if you do want a gator to come closer to you, local advise to give it a marshmallow. It sounds more like a joke, but we did see them go for it! Previous postNaturist Activists, Friends and Guests in Bay Area! 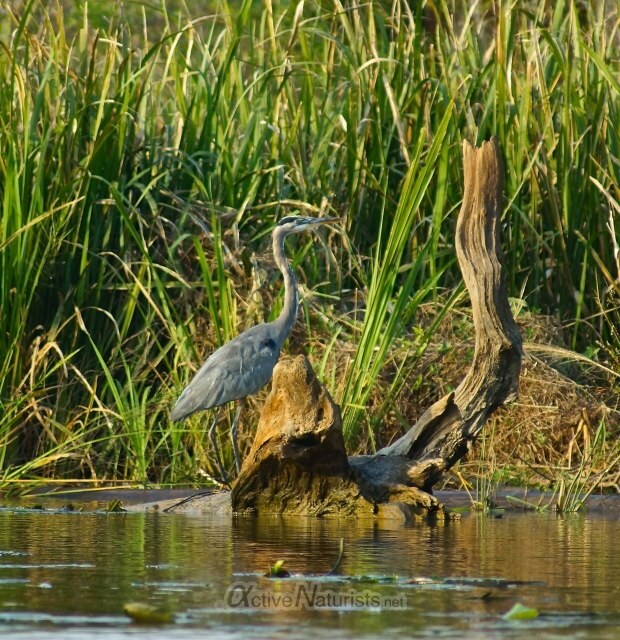 Wish you had large size photos of the Mississippi delta swamps — these photos are *gorgeous*!! !